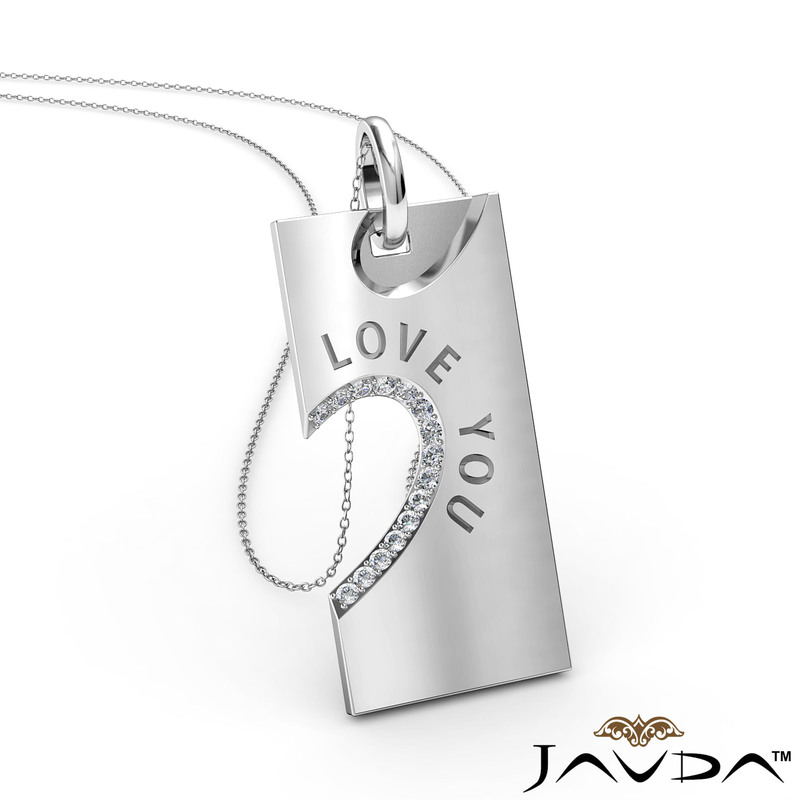 Say I Love You with love you diamond heart pendant necklace made in 14k white gold. 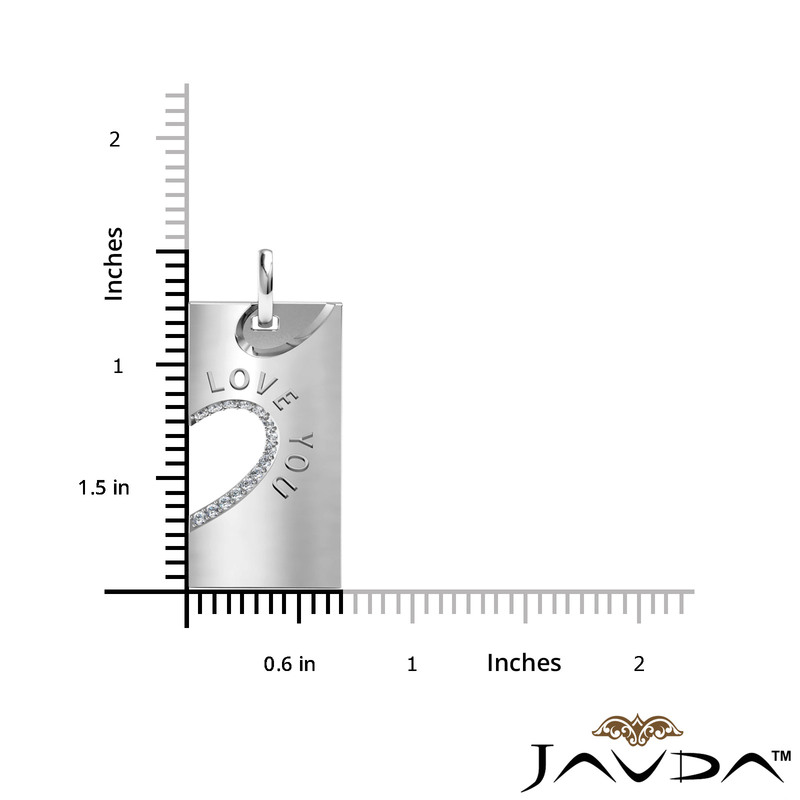 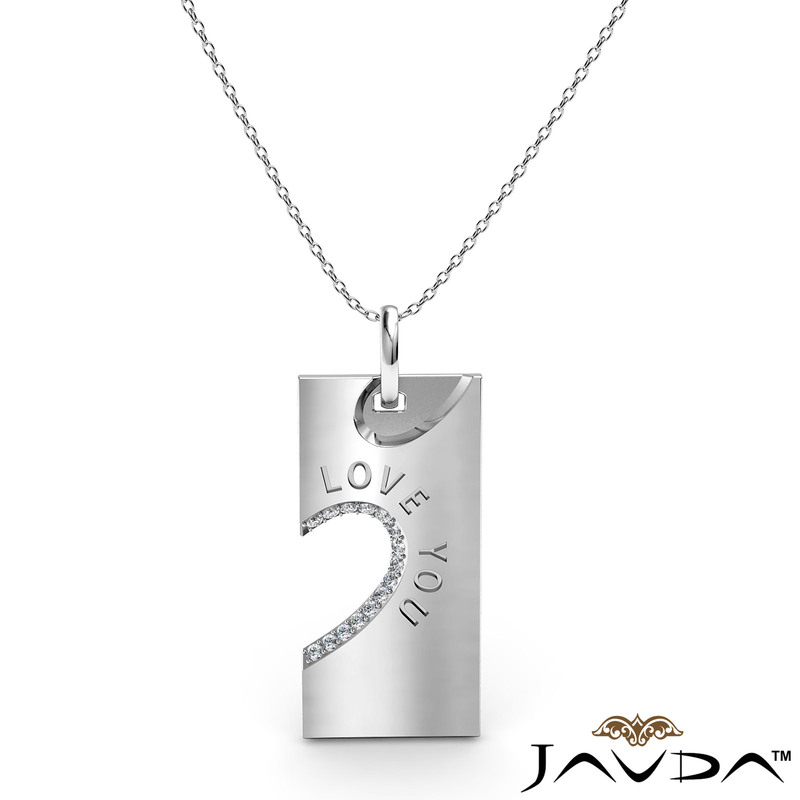 This charm pendant features a 0.24 carat round diamonds in a micro pave setting with beautiful engraving of Love You. 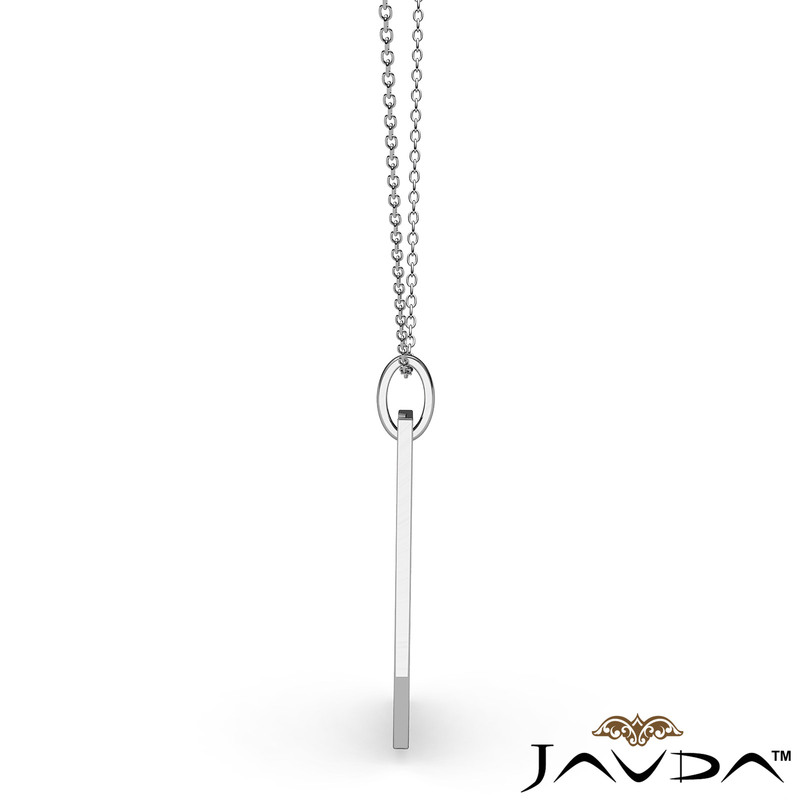 This pendant hang on 18 inch rolo chain that secures in a polished finish ring clasp.